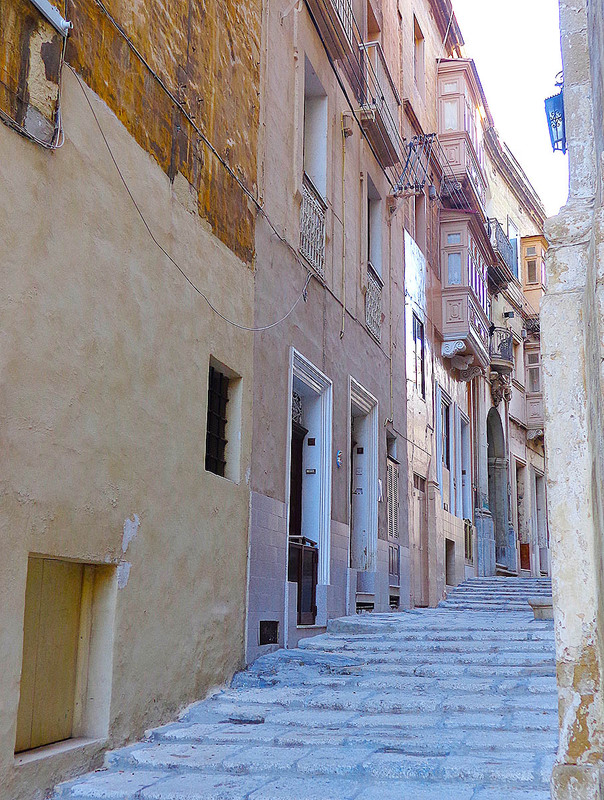 Cospicua, the largest of the three cities, is known as Bormla to most people in Malta. The city is also known as Cospicua (i.e. the Conspicuous) because of the role it played during the siege of 1565. Located on the east side in Grand Harbour, opposite Valletta, Cospicua is a double fortified city and is flanked by Senglea (Isla) on the west an Vittoriosa (Birgu) on the east making up the 'Three cities'. 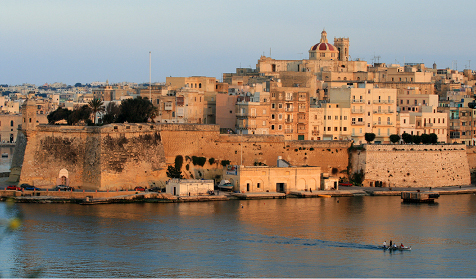 Most of Cospicua's shoreline is taken by the Drydocks, Malta's largest industrial enterprise. The city suffered substantial war damage, and the majority of its inhabitants abandoned their houses at the outbreak of the War. A good number of these have now returned. The hundreds of wrecked homes have been rebuilt and the city today numbers a population of about 8,000 and modern Cospicua is an important market centre in the heart of dockland. The city has recently been subject to lots of investment and major revitalisation including the waterfront where you will find the new €12 million Marina development which contains several super yachts. One of the oldest and most historic area's in Malta, the Three Cities (otherwise known as Cottonera) are rich in Maltese culture and heritage. Take walk through Cospicua's Medieval Quarter on the way to the Ferry which provides a very convenient link to Valletta, a short ferry ride across the amazing Grand Harbour and you are at the 2018 Capital of Culture - Valletta. The collegiate church of the immaculate Conception is the chief monumental building of this city. It is rich in treasure and an exquisite work of art. The first church on the site dates back to 1584. That was enlarged in 1637 and again in later years, until it was finally completed and consecrated in 1732 Pope Pius VII conferred 'Collegiate' status to the Church in 1828. It is said that the statue of the immaculate Conception dates from 1 600 and that it was sculpted in wood by Sr. Maria De Domenicis, a Carmelite nun. The feast of the immaculate Conception is celebrated on 8th December. Located a short distance from the airport (approx 10km), Cospicua is really a great place to explore Malta's traditions, get a slice of authentic Maltese life and a look into Malta's maritime past and present. Fancy a round of Golf? The Royal Malta Golf Club is nearby or if shopping is your preferred option then the local markets or a trip to Valletta will be right up your street. 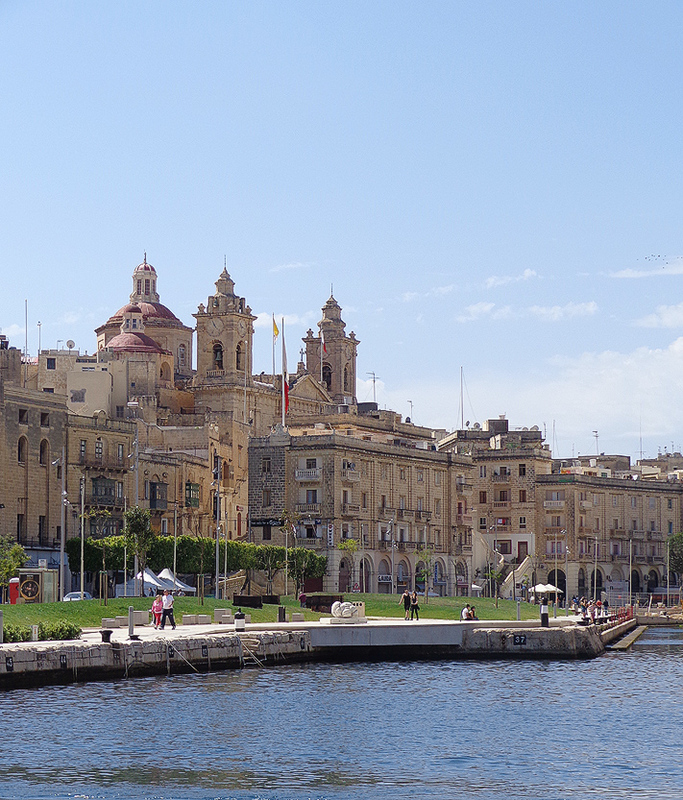 Cospicua's football team is named St Georges FC and is thought to be the oldest on the island.